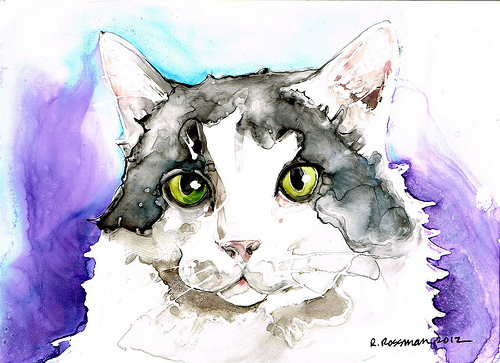 Today we are giving away a 5x7 custom pet portrait from Rachel Rossman. I follow Rachel on Instagram, and her work is AMAZING! I am dying for a portrait of Jack!! Rachael Rossman is an Oregon artist and former equestrian who started painting when her children were small and she was no longer riding. She would visit horse shows every summer to take photos of the barn goings-on so she’d have material to paint throughout the year. 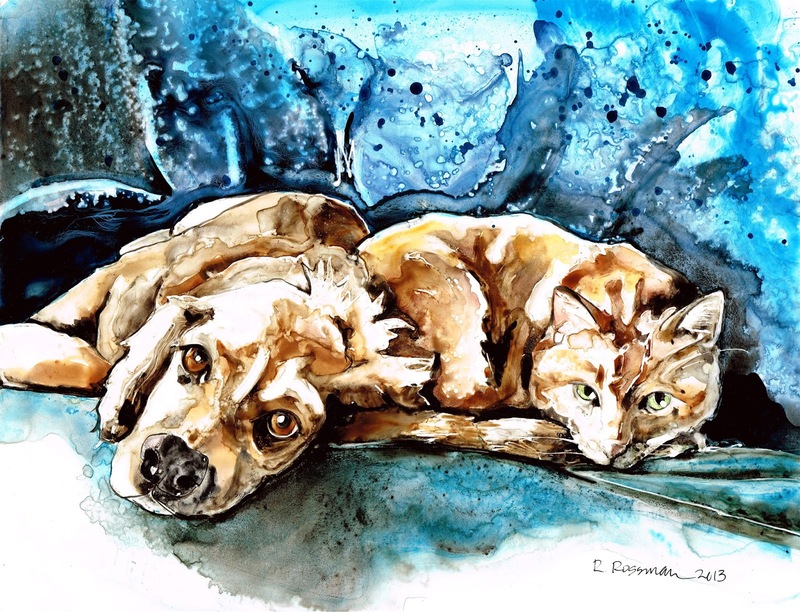 After painting a portrait of Heather Armstrong’s dog Chuck and appearing on her website, dooce.com, Rachael’s audience quickly expanded to include dog and cat owners as well. Her paintings have been featured on marthastewart.com, thepioneerwoman.com, thebloggess.com, Dog Art Today and in the MTV Movie Awards celebrity gifting suite. She has painted for celebrities Mayim Bialik, Neil Gaiman, Amanda Palmer and singer Renee Olstead. Two years ago, Rachael left her job as a marketing director to paint full time. She has two ginger studio cats - Ron Weasley and Francis. Rachel is offering Plain Chicken readers a deal if they order a pet portrait by January 10th. If you order a 5x7 portrait, you can get a second portrait for half price! These would be great Valentine's Day, birthday or Mother's Day's gifts. 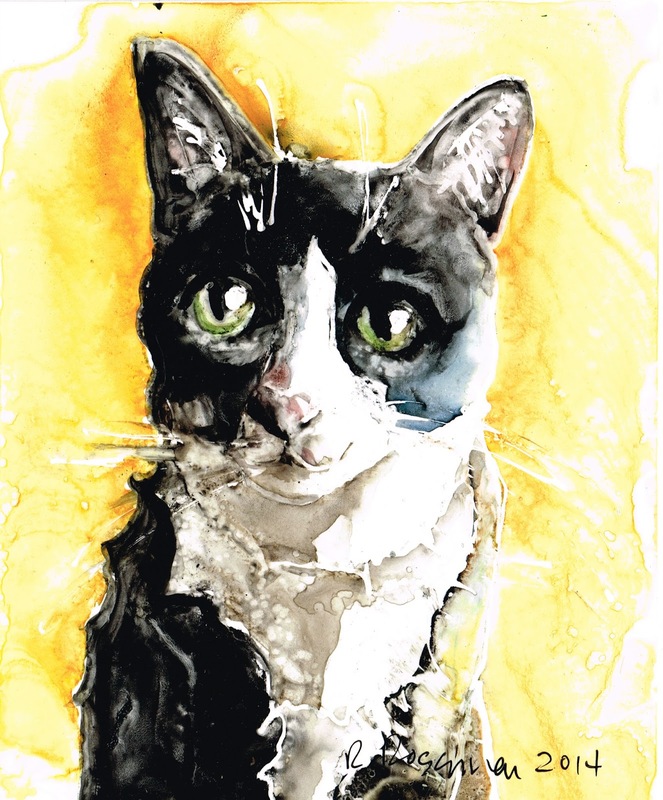 Use the PromoSimple Widget below to enter for a chance to win a 5x7 custom pet portrait. You may enter once a day. The giveaway ends Sunday, January 4, 2015 @ 11:59PM CST. The winner will be contacted via email and has 48 hours to respond. If the winner does not respond within 48 hours, a new winner may be selected. She does beautiful work! Thanks for the giveaway! I LOVE that picture of Jack!! What beautiful art work! How I would love to have a portrait of my Dakota! Thank you for the chance to win.